Not everyone’s skin reacts favorably to the heat and sweat that comes with summer. And, as we spend more time in the sun, we also make ourselves more susceptible to the dangers and adverse effects of sun damage. 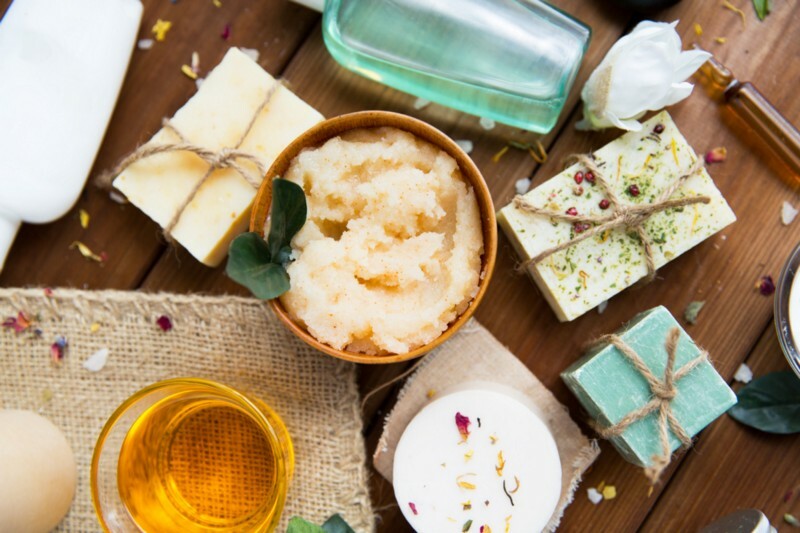 There are a lot of tips and tricks you can do to improve the health of your skin this summer, whether you are trying to boost your sun protection, get rid of breakouts, or improve the smoothness and elasticity of your skin. It matters just as much what you put on your skin as what you put into your body. Your skin health starts from the inside out, and how you nourish your body will affect how your skin appears. 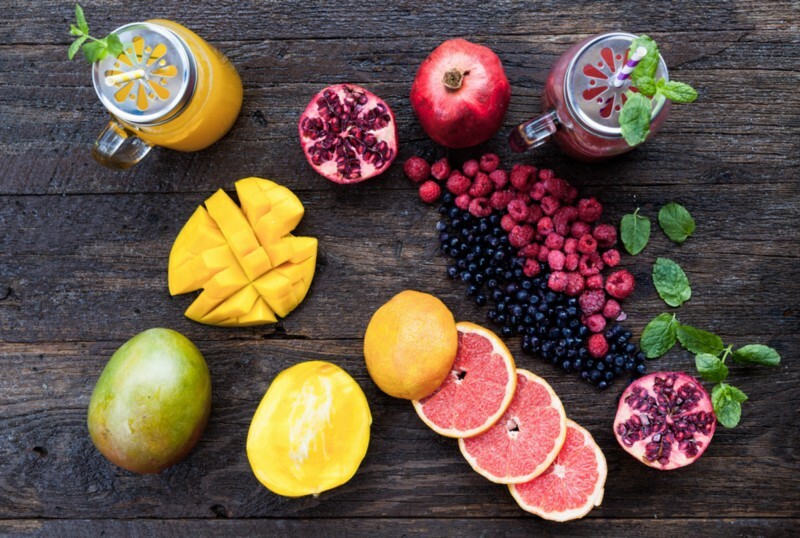 Many skin problems arise from inflammation within the body, but how you eat and care for yourself can help decrease the inflammation that leads to pesky skin problems. Here are 9 tips and tricks to try to improve your skin health, ranging from foods to eat to simple things you can do to help prevent breakouts, protect against the sun, and boost your skin’s healthy glow. Exfoliating helps clear away dead skin cells that build up and trap dirt and bacteria underneath them, and boosts the healthy glow of your skin. You don’t have to buy fancy scrubs to get the benefit; you can make it from what you have in your pantry! Try a simple brown sugar scrub, by mixing 2 parts brown sugar with 1 part coconut oil (which is moisturizing and has antibacterial properties,) and use this a few times a week in the shower. Vitamin K helps skin maintain its elasticity, which helps to reduce wrinkles and give you that lasting, youthful look. 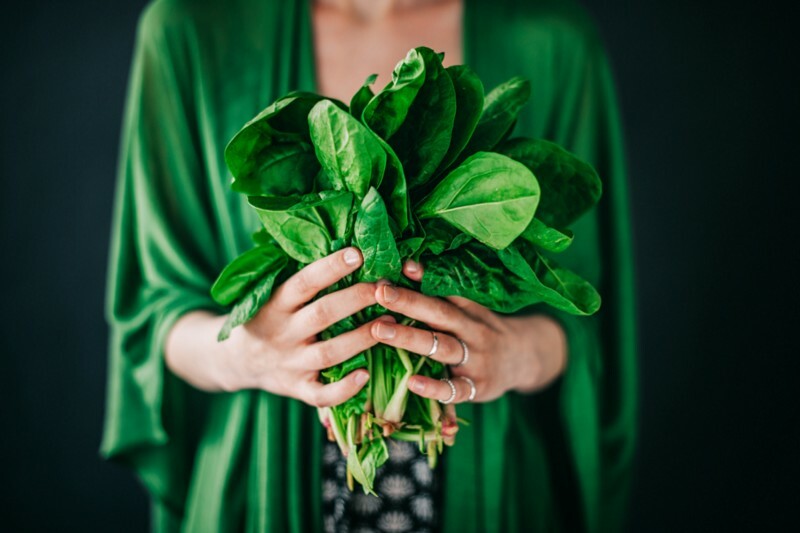 Vitamin K is found in particularly high concentrations in leafy greens, such as kale, chard, and spinach. It is important to note that vitamin K is a fat soluble molecule, which means your body absorbs vitamin K fully when it is eaten with fat. Therefore, try adding healthy fats rich in omega 3s to your kale salad, such as salmon or olive oil, to promote vitamin K absorption. These foods also gives your skin an extra boost, as omega 3s help decrease both inflammation within the body and inflammation caused from too much sun exposure. Your pillowcases can trap and hold bacteria from nights and nights of use, and this bacteria can transfer to your skin as you rest your face on your pillow. Once a week, try washing your pillowcase for a cleaner place to lay your head. Another sneaky bacteria culprit is your phone. Dirt and bacteria collect on your phone screen from touching it all day, which gets transferred to your face when you take a call. Try wiping down your phone with anti-bacterial wipes and using headphones when you talk on the phone to minimize this contact. A happy gut means less overall inflammation in the body, which results in break outs and blotchiness. Your body needs a balance of “good bacteria” in its gut flora to optimally break down foods and absorb nutrients, and to eliminate toxins. When your gut flora is out of balance, toxins can arise, which can show on the outside. 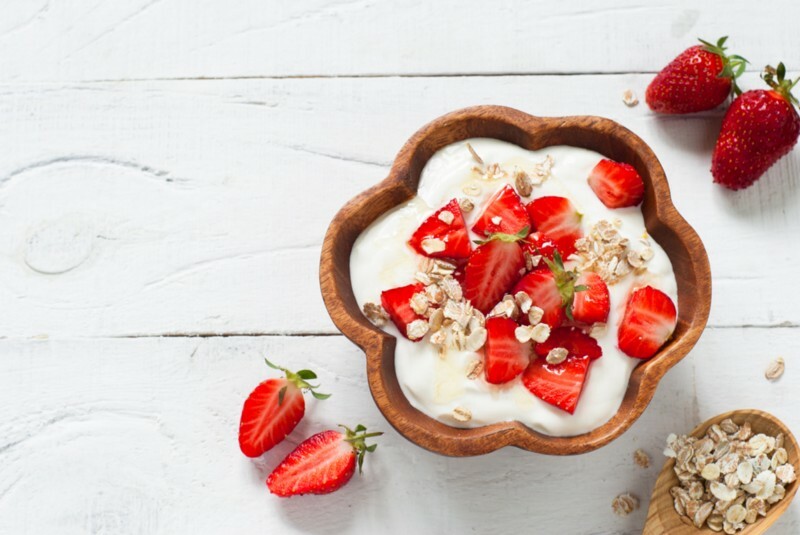 Consider taking a probiotic supplement, and eating probiotic rich foods such as kefir, yogurt, and kraut, for a both a healthier gut and healthier skin. Food culprits such as dairy, fried foods, and refined sugar can increase inflammation within the body, which can lead to breakouts, red spots, and topical inflammation as well. Try substituting these foods with whole food, dairy-free, nutritious alternatives that are better for your body and provide skin boosting benefits. Antioxidants protect your skin from harmful sun radiation and help limit the production of free-radicals, which damage skin cells. They help promote anti-aging effects as well, by firming the skin and reducing the appearance of wrinkles. Vitamin C also attacks free-radicals which damage your skin cells and cause inflammation. It also plays a vital role in the production of collagen, the protein found in the connective tissue of the skin. Foods packed with Vitamin C and antioxidants are fruits and veggies such as pomegranates, blackberries, bell pepper, and cherries. When your stress levels rise, so does cortisol, the stress hormone which increases inflammation in the body. Try doing mindful activities everyday such as yoga and meditation to relieve your stress, which will help you decrease your cortisol levels and inflammatory response, and improve your overall skin health. The polyphenols in green tea provide great protection against the adverse effects of UV radiation. These phytochemicals help encourage DNA repair, which serves to protect the body against skin cancer. One study showed that people’s risk of of non-melanoma skin cancer decreased by drinking a cup of green tea a day. 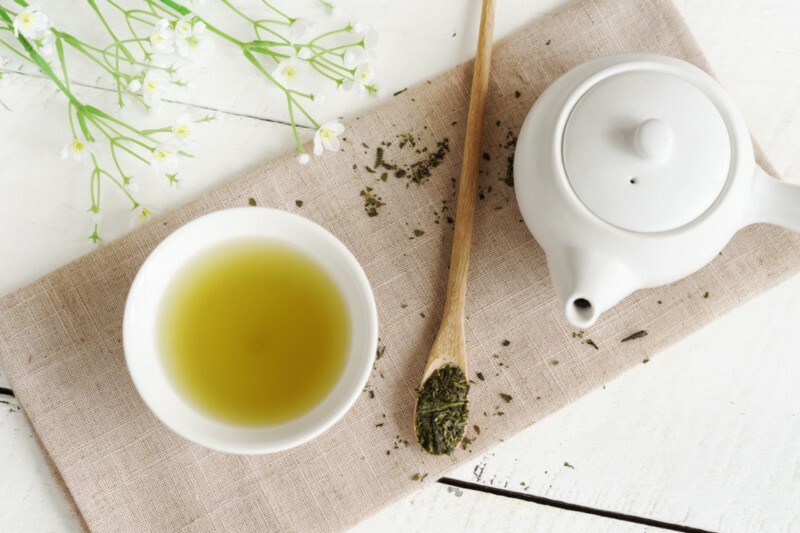 The antioxidants found in green tea also promote anti-aging of the skin. 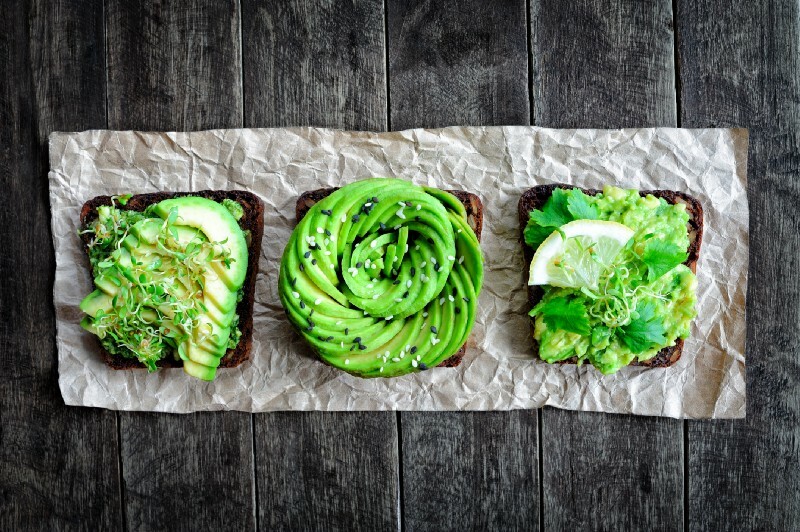 As if avocados weren’t celebrated enough for their taste and health benefits, they also help make your skin soft and bright. Avocados are very high in vitamin E, which is known for helping skin maintain its luminosity. As an added benefit, the omega 3s in avocado also help strengthen the oil barrier of your skin, which helps improve skin smoothness. All the more reason to load up on that avocado toast! Skin health starts from the inside out, and the little things we do each day can go a long way in helping us achieve the healthiest skin possible. We hope these tips and tricks help get you to your brightest, healthiest skin this summer!